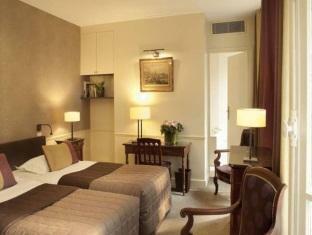 ﻿ Hotel Des Saints Peres Paris. JIMAT di Agoda.com! Ada soalan mengenai Hotel Des Saints Peres? Bagi para pelawat yang ingin menikmati sepenuhnya pengalaman di Paris, Hotel Des Saints Peres merupakan pilihan tepat. Dari sini, tetamu boleh menikmati akses mudah kepada semua yang bandar meriah ini boleh tawarkan. Persekitaran yang terjaga dan kedudukan berhampiran dengan Shade, Capucine Puerai, Bangunan Maison de Verre memberi hotel ini daya tarikan istimewa. 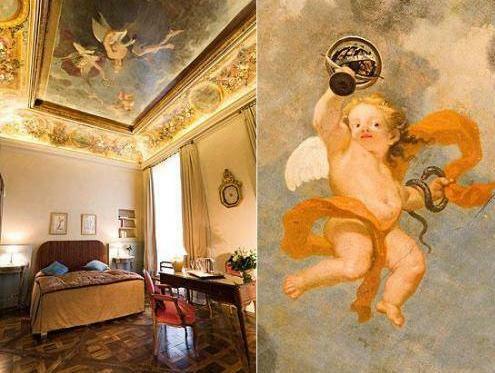 Hotel Des Saints Peres juga menawarkan banyak kemudahan untuk memperkayakan penginapan anda di Paris. Tetamu hotel boleh menikmati kemudahan seperti Wi-Fi percuma semua bilik, meja depan 24 jam, fasiliti tetamu kurang upaya, Wi-Fi di tempat awam, khidmat bilik. Semua penginapan bagi tetamu menawarkan kemudahan yang difikirkan dengan teliti bagi memastikan rasa selesa yang sukar ditandingi. Senarai lengkap kemudahan rekreasi boleh didapati di hotel, termasuk taman. Hotel Des Saints Peres adalah destinasi sehenti anda bagi penginapan hotel berkualiti di Paris. 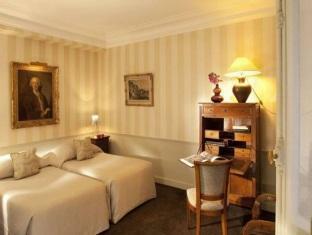 Perfect place for our 4 days in Paris. Centrally located near all the sites we were interested in. Friendly staff. Comfortable beds, reasonably sized rooms at a fair rate. Quiet. Would stay here again. 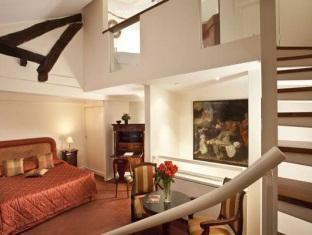 Great hotel in the center of St Germain. Quiet courtyard and very comfortable. I have stayed there multiple times over the past 10 years and it is one of my favorite places to stay in Paris for short trips. The hotels was a bit run down, and over priced for the quality of the rooms it was offering. I enjoyed my stay at Hotel St. Peres. The location is wonderful. The hotel is close to metro and taxi's which won't be necessary if you like to walk. The Louvre and Musee D'Orsay are really only a few blocks. There is an abundance of cafe's that offer 'petit dejeuner', lunch and dinner. 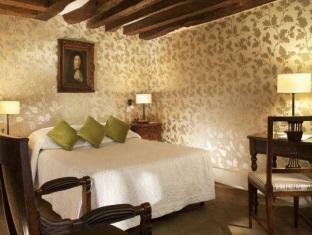 I did find the ceilings, which in my room were lined with large wooden beams, quite low. I'm 5'9 and the ceiling felt quite close. It is a genuinely old, well maintained building. The bathroom can be a challenge unless you are small and young. The shower consists of a spray nozzle at the end of a hose. You sit in the tub and use the attachment. However the tub is smaller than the standard (american) tub so maneuvering can be challenging. My room looked out on the courtyard, that sported lovely blooming flowers. Every staff person was friendly, helpful and willing to go above and beyond. Give them a try unless you are very large or have a physical handicap, and even then they may be able to accommodate you, I only visited two rooms. It really is a well located and very charming place. My wife and I came to Paris for a wedding and only really used the hotel for sleeping. Great stay. Hotel rooms are small but functional. Did not see air conditioning which could be an issue in summer. The receptionist staffs were always friendly and very attentive. They speak fluent english and were very helpful towards the end. The room is clean and the decor is nice, quite pretty. Location is very close to le bon marche and good value for money. Location - Saint Germain, in quiet street (Rue de Saints Peres, very close by Saint Germain Boulevard. Nice modern/boutique style room. We only stayed 1 night but was pleasant to stay in. Room was a comfortable size for the two of us (on top floor) overlooking the courtyard so plenty of natural light during the day. No hot water at night but ok in the morning. Breakfast time is scheduled 7-11.30am but is actually up until 11am only. Would just recommend eating breakfast outside at a nearby cafe instead. the room we stayed at needed an upgrade from the low entrance doorway to the antiquated showers. yet the staff made us feel at home and were helpful with services like getting a taxi and making reservations. shops and restaurants are right outside the hotel's doorstep. 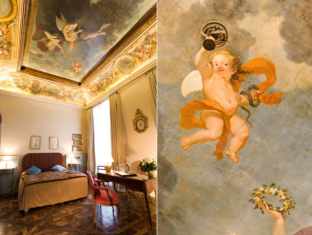 A renovação dos quartos é um sucesso tanto do ponto de vista do conforto como da decoração, é tudo muito civilizado e de bom gosto , o ambiente geral do hotel em termos visuais tem tudo a ver com a zona de Paris onde está situado. Os funcionários do hotel são muito prestáveis e simpáticos.